Crispy, golden outside – tender, meaty inside, fried squash is so simple and so delicious you’ll never look at zucchini without drooling again! These make an amazing meal all on their own or pop them into a piece of pita bread with a little tahini lemon sauce and you have the perfect sandwich. You’ll find so many ways to enjoy this dish, it’ll quickly become a regular in your kitchen too! 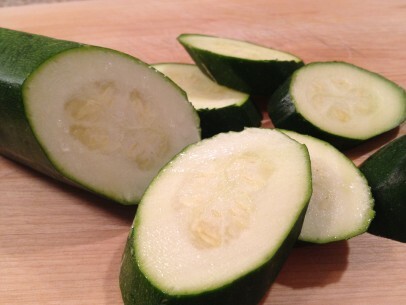 Slice your zucchini on an angle. This gives you more surface area for each slice of squash and this makes for better cooking. I suggest moving the pan off the heat in between batches so that your oil won’t get too hot or start smoking. 1/2 cup oil should keep you well set for 3 medium zucchini but it doesn’t hurt to have an extra tablespoon or two to add if you need it. And remove any left behind little bits of batter from the oil in between batches so they don’t burn. Slice zucchini and set aside. Mix flour and salt, add water and stir to remove any lumps. You should finish with a smooth, thick paste. I like to use seltzer water though in Greece cooks often use soda water instead. If you want to use soda water, just remember to halve the amount of salt. And you can use flat water in pinch. Once you’ve mixed the batter in a mixing bowl, transfer it to a low-sided pan with plenty of room for dipping/flipping your squash to get a good coating. And a regular old dinner fork is the best tool here. Try to coat squash slices evenly and lightly smooth off any excess against the side of your batter pan before transferring to hot oil. Choose a frying pan with a good size diameter as you want your squash slices to have room between them when cooking. A crowded pan makes for soggy slices! And using a pan with higher sides is helpful also as is cuts down on oil sputters and spatters. Heat olive oil (2-3 tbsp per batch) in pan on low heat. I have an induction stove top and cook this recipe on 3. Dip squash slices in batter, coat both sides well, place carefully into hot oil. Cook 2-3 minutes on each side to a light golden color. Place cooked squash onto a paper towel lined plate to drain off any excess oil. Continue cooking in batches until done. Serve warm or room temperature. If reheating, don’t microwave as they’ll be soggy. Instead, wrap fried squash slices in foil paper and heat in a 350 degree oven for 15 minutes. “Serve warm or room temperature. If reheating, don’t microwave as they’ll be soggy. Instead, wrap eggplant slices in foil paper and heat in a 350 degree oven for 15 minutes.” Eggplant? Oops! Squash 🙂 but this actually this applies to fried eggplant as well! Wow!! I am seriously loving these! I went to a Greek restaurant near where I live and I had these and wanted to recreate them at home – I just tried this recipe and they taste amazing! 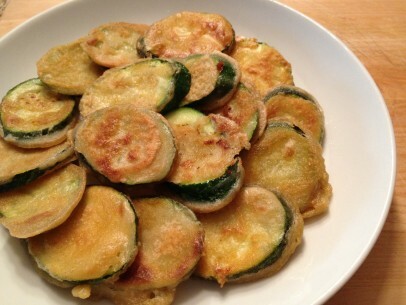 Fried zucchini is one of those delights of summer! There’s nothing quite like plucking a ripe zucchini from the vine, slicing it up, and frying it in Greek olive oil. I find that this dish also works well with summer squash and eggplant. Hi…I really love your site! I found your site when looking for a recipe for tourlou that is like the one my grandmother always made. 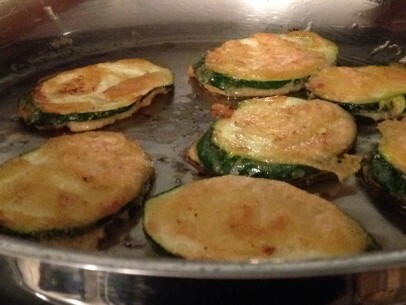 Then I found this fried squash recipe and remembered her fried eggplant…one of the best things I ever ate. 🙂 However, she used to put thin slices of garlic on them, but I can’t remember if she did that after they were fried or before?? I always end up burning the garlic if I try to fry them with the eggplant. Just wondering if you’ve added garlic before and how you did it. Thanks so much for the great recipes! My shopping list just got a little longer….